This section is intended to give you an overview of other projects I have been involved in that are not web development or programming based. Currently there's two projects listed which are very different from each other. One is a history booklet and the other is a videogame level. 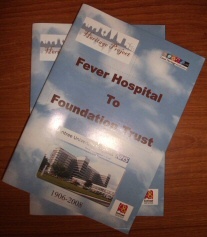 Fever Hospital to Foundation Trust is a 42 page booklet that I worked on in a team of three during a work placement module in the second semester of my first year of university. 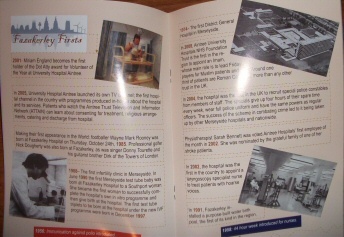 The booklet's purpose was to document the history of Aintree University Hospital from when it was a fever hospital to its present day status as an NHS Foundation Trust. The idea was to give patients and visitors something interesting to read in the waiting rooms. 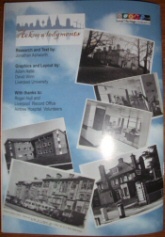 10,000 copies were printed and the booklet was well received. My role in the team along with another student was to design the layout of the booklet and decide which images should be used and where. Basically putting it together. 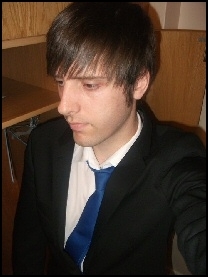 The research and text was done by a Historian. Working on this was fun as it was something different to what I had been involved in before. Mount Zindar is a level I created for the Playstation 3 game Little Big Planet using its in-game editor. Levels are designed in the game by selecting from a palette of materials, textures and shapes and then painting, attaching and drawing them on to the game canvas. Objects can be added or created and their properties and triggers modified allowing you to do just about anything. The task was enormous, how to make use of the large real estate and the tools given to create a fun and challenging level. I thought it would be fun to allow the player to take multiple paths with one being more difficult and rewarding and then finally put them up against a challenging boss at the end of the level. I made use of tools to create a snow weather effect in a game that does not have weather hard coded. A player named JohnnyDFox videoed the level for me and placed it on Youtube. You can see him traversing through the varied landscape, opting to take the fastest and easiest route.